The 2018 Honda Ridgeline is a unique truck built to work hard and play hard in the city or the countryside. With its unibody construction and innovative, clever design, the Ridgeline offers capability unlike anything else in the segment. From the utility-oriented truck bed to the comfy five-passenger cabin, this pickup offers average drivers the utility of a truck and all the comfort and versatility of their favorite SUV. 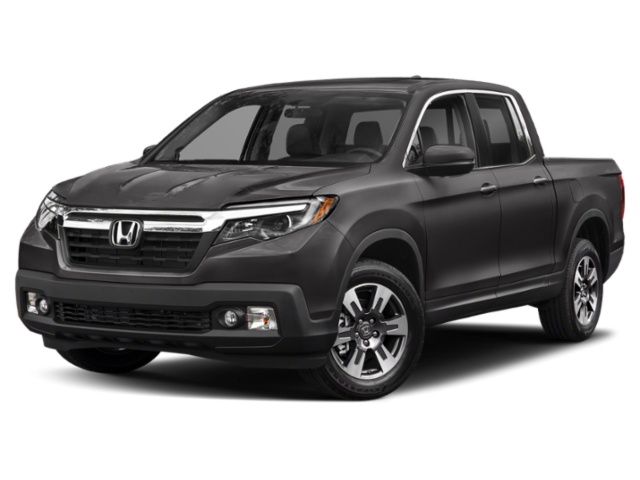 The 2018 Honda Ridgeline takes conventional pickup truck style and gives it an updated Honda look. This truck marries form and function into one package, so you get the best of both worlds. The front of the Ridgeline is outlined with bright and distinct LED headlights and daytime running lights with auto on/off features. The aerodynamic exterior is good for more than just stylish looks: it streamlines the Ridgeline for better performance. You get improved fuel economy, reduced wind noise, and get an eye-catching truck all in one package. The 2018 Honda Ridgeline is also full of innovative solutions to common problems. 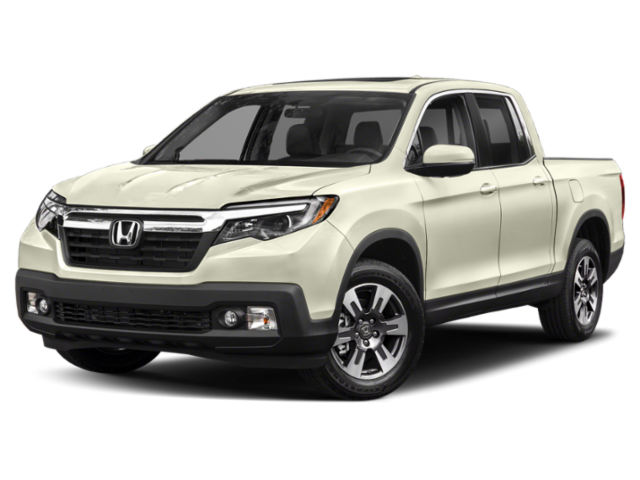 Honda listened to common complaints from truck and SUV drivers, and created the Ridgeline to offer the best utility and comfort to the average driver. Instead of focusing on how much torque they can squeeze out of one engine, the Ridgeline’s engineers created a truck that has all the capability and power you’ll need for the majority of your daily life. It’s able to haul and tow supplies for your outdoor adventure or home improvement project with ease, and it offers tons of handy features and quirks to help you get through the day. The most recognizable part of any pickup is its truck bed, so the 2018 Honda Ridgeline has a unique one. The bedliner is made of a textured composite polymer, which resists scrapes, dents, and scratches. You can use the Ridgeline for years without showing wear and tear on the truck bed! The bed was designed with minimal wheel well housings, so your hauling capabilities aren’t compromised. It also features a dual-action tailgate: it opens down in a conventional manner for bed loading. Then, it also opens to the side for easy access to the In-Bed Trunk. The 2018 Honda Ridgeline’s In-Bed Trunk is extremely useful. It offers 7.3 cubic feet of lockable storage in addition to all of the Ridgeline’s bed storage. The trunk also has a drain plug, so you can carry ice for drinks or food, or store wet gear without getting the rest of your equipment wet. It also makes the trunk easy to rinse out when you get home! The Ridgeline’s truck bed also offers amazing features like the available Truck-Bed Outlet. This 150W/400W outlet lets you plug in from the cargo bed. You can hook up your power tools or even a TV right there in the truck bed for any occasion. There’s even an available Truck Bed Audio System independent of the outlet. You can hook up your smartphone and play your favorite music outside. Whether you need motivational tunes while you work, or you’re firing up an outdoor party, the 2018 Honda Ridgeline will provide the music from its truck bed walls. The 2018 Honda Ridgeline offers awesome capability on the road, too. It roars ahead to merge quickly and safely into traffic on the highways, and offers agility and excellent handling in a segment that’s often slow and cumbersome. Its excellent road manners mean that you’ll experience a comfortable ride that’s more like a car than a truck. This comes from the coil-sprung independent rear suspension, not the leaf-sprung setup used on most pickups. Its unibody construction is rigid and stiff, giving you minimal body lean through the curves. There’s one powertrain available on the 2018 Honda Ridgeline, and Honda made sure it’s a good one. The Ridgeline runs on a hearty V6 engine and a smooth six-speed automatic transmission. It puts 280 horsepower and 262 lb-ft of torque in your hands, which made the Ridgeline a strong competitor in zero-to-60 runs. The engine gives you power smoothly when you ask for it, especially when you put your foot down for hard acceleration. You can get most Ridgeline trims with either front-wheel or all-wheel drive. The 2018 Honda Ridgeline is designed to accommodate average drivers, and its towing and hauling capabilities reflect that. You can load up the truck bed with your camping gear or dirtbike with no problem: Honda also offers accessories to extend your truck bed for more space. It’s rated for a max payload of 1584 pounds. The front-wheel drive Ridgeline can tow up to 3500 pounds, but if you need more than that, go for an all-wheel drive option. It’s rated for 5000 pounds, which lets you pull around a camper, a small trailer, or even an average-size speedboat with no problem. The Ridgeline’s cabin will seat five people in comfort, no matter how long the ride. Honda believes there’s no need for the average driver to suffer a bumpy ride and stiff seats for the utility of a truck, so the 2018 Honda Ridgeline has it all. The available eight-inch touchscreen display and ambient LED lighting provide subtle yet luxurious touches. There’s plenty of space inside for your passengers and your gear, with a roomy center console big enough for a 10-inch tablet. No matter where your adventure or work takes you, the Ridgeline has space to accommodate. Seating for five adults is plenty comfortable, and there’s lots of nice interior features to keep you comfy and entertained. You can get Tri-Zone Automatic Climate Control with certain trims, to help keep everyone at a comfortable temperature. Despite the rugged exterior, the 2018 Honda Ridgeline has an upscale cabin, with leather trim and a leather-wrapped steering wheel standard on some trims. There’s also an available heated steering wheel, which will definitely be your favorite feature in the winter. Cargo space is plentiful inside the Ridgeline, too. There are lots of convenient pockets and storage spaces, so the driver can reach everything you need. The rear seats offer more utility, too. The 60/40 Split Lift-Up rear seats mean that you can configure the interior to suit your needs. Bikes, groceries, camping gear, and more can all ride easily inside the cabin on your next trip. The 2018 Honda Ridgeline is dedicated to keeping you safe, too. It scores excellent marks on its NHTSA*** crash tests. It’s one of the easiest trucks in its segment in which to install a child seat, with accessible LATCH points and tethers. You can fit a child seat in any of the three rear seats easily. The Ridgeline comes with lots of standard airbags to protect you in the event of a collision. There’s also a compact spare tire, stored under the truck bed, in case you need a temporary tire change to get home. There’s also a standard multi-angle rearview camera on every Ridgeline. The 2018 Honda Ridgeline also offers lots of active-safety and driver-assist features with the Honda Sensing suite. Your equipped Ridgeline will give you forward collision warning feature and a lane departure warning. If the warnings don’t help you totally avoid an accident, Honda Sensing also has collision mitigation braking and road departure mitigation. To make your daily drive easier, Honda Sensing also has Lane Keep Assist and Adaptive Cruise Control with Low-Speed Follow. Although you as the driver need to stay aware of the road at all times, Honda Sensing makes your task easier and your drive safer. Honda Sensing is standard on the RTL-E trim and above. There are lots of trims for you to choose from when configuring your 2018 Honda Ridgeline. The base RT trim has everything you need for a basic, hard-working pickup. Features like the In-Bed Trunk and Dual-Action Tailgate are already standard on this base model. The Sport trim gives you bigger wheels, fog lights, and standard tri-zone automatic climate control. For a leather interior, pick the RTL trim or higher; you’ll also get more and more amenities like Apple CarPlay and navigation. The top two trims include standard AWD, Honda Sensing, and more. Starting on the RTL-E trim, you’ll get the Truck Bed Audio System, as well as the blind spot information system, and a premium cabin audio system. The 2018 Honda Ridgeline Black Edition is the highest trim available, with all the amenities and more. You’ll get a special Black Edition exterior trim, as well as a special-edition leather interior. It comes with 18-inch black alloy wheels and red ambient LED lighting to complete the look. If you’re looking for an incredibly versatile pickup, stop by Buerkle Honda today to check out the 2018 Honda Ridgeline! Our great sales team can answer all your questions and make sure you find the truck with all the options and features you need. Check out our inventory online to see which trims, colors, and options we have in stock. If you have any questions, feel free to give us a call or stop by in person! Remember, if you buy a new 2018 Honda Ridgeline from us, you’ll be eligible for our Buerkle Rewards Plus program! This program is free to join and will give you access to 5% back on service and parts purchases, a 3-day, 300-mile exchange policy, 2 free oil changes, and much more. So come and see us soon at our dealership here in St. Paul, MN.